1 Bedroom, 1 Bathroom, Sleeps 4. Charming 1860 Carriage House completely restored. All the charms of the turn of the century with all Hi-Tech conveniences. Central air, heat, Internet access. Full kitchen with dishwasher, washer/dryer, ice maker. The carriage house is designed for extended stays of one month or more. For vacationing artist there is a printmaking studio, complete with Brand press that can be accessed. Call for information. Charming carriage house with everything you need. Well appointed kitchen, beautiful skylights throughout. I spent hours relaxing and reading in the fenced-in yard with my pup. Nice town to explore- water in every direction. Tons of food options. Thanks Kathleen- Glad you enjoyed your stay. Hope to see you again. Best place to stay in Greenport! All the reviews say it, this place is where you should stay in Greenport! The Carriage House is beautifully renovated with all the needed amenities. Parking on-site was convenient especially given that we were there during the Maritime Festival. It’s a quick walk into town and the private yard was perfect for our two Siberian Huskies to play in. Caroline is a great host and we hope to stay here again in the future!!! It always makes me happy to see that guests at the Sirens' Song Carriage House enjoyed their Greenport experience. Guests like these are always welcome back. Lovely weekend in a beautiful home for us + our dog! Our stay at Caroline's carriage house was fantastic. The location is great - just a 5 minute walk into town, and the back yard area was perfect for cocktail hour. Our dog loved it as well! Caroline was a lovely host, even though we arrived late for check in. Communication was quick and easy, and we will definitely come back! We try to please and make our guests holiday getaway a completely pleasant and memorable experience. Always nice to hear that our guests want a return visit. Great Location, Charming Carriage House, Friendly Host! We had a great stay! The location is perfect and the fenced in yard was great for our doggies. Caroline was so friendly and accommodating. She even left us coffee and muffins. There was everything you needed in the kitchen and there were plenty of bath towels upstairs. We would definitely recommend this VRBO rental and will definitely come back and stay again. Thank you Natalie. It was my pleasure to accommodate your holiday getaway. The Sirens' Song would gladly welcome you back. This was a wonderful, private, perfect place to stay in Greenport. Beautifully and thoughtfully decorated, comfortable and exceptionally clean. The backyard was an incredible, private place to sit and enjoy a cup of coffee. The apartment is perfectly located within walking distance of all of the attractions in Greenport. The street the apartment sits on is quiet and beautiful. We wish we could have stayed longer and would stay here again without hesitation. Thank you...we aim to please. Come back again. This carriage house is great. It has its own parking space with a furnished outdoor yard for entertaining. Inside you walk into the spacious kitchen with all the appliances and utensils you need. Upstairs is the living area, bathroom, and bedroom. The amount of light is great during the day. We stayed during a record cold weekend in February but took sanctuary in the cozy upstairs watching TV and reading. The frame of the house is beautiful and the owner appointed the inside really well - it still has character but is updated to be very comfortable. We were greeted by the owner on a chilly Friday night, she is absolutely lovely and had great suggestions for us. She is close by in the house adjacent to the yard. As mentioned she put really nice touches to the house - the bathroom is really nice and we loved the kitchen. The heart of town is very close - only a short stroll away so super convenient. Great sake bar/minimalist Japanese restaurant across the street on the main drag, and a supermarket only about 4 or 5 blocks away where we picked up snacks. The main strip curves into town where many of the restaurants were still open in winter - Greenport and the surrounding areas are definitely a must-visit in summer for us. Food was very good at each place, especially the tequila bar/restaurant, had amazing paella. There are plenty of vineyards that are open year round that are only 15-20 minutes drive from here - just a ton of things to do. It's about as quaint as you can get for the North Fork and this house embodies that perfectly. I believe this review was from a couple who stayed over Valentines Day weekend. We had a snow storm and cold winds. I'm glad they found the cottage cozy. Luckily everything you need from food, drinks, shopping is only one block away. 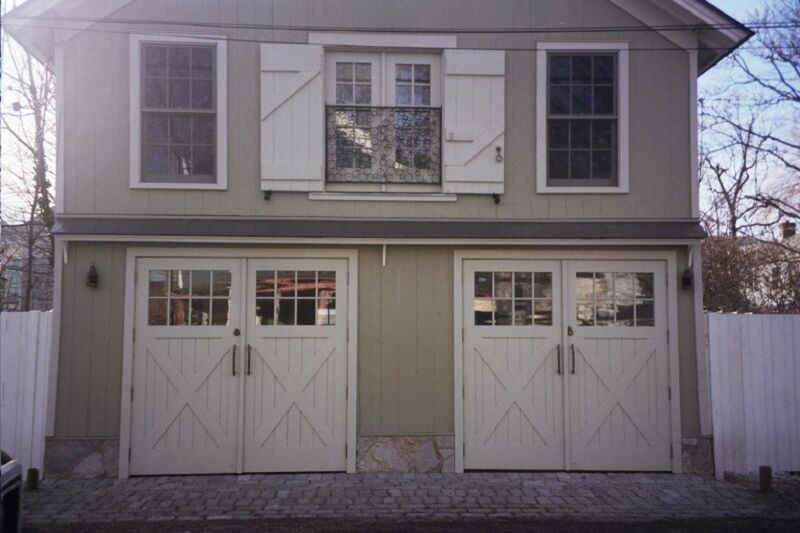 The historic carriage house has been restored to retain its original charm retrofitted with contemporary amenities. We try to make visitors feel at home, that's what weekend getaways are all about. Greenport is surrounded by water. We are located between Peconic Bay and Long Island Sound. The Atlantic Ocean and the Hamptons are accessible by ferry. There are also lakes and inlets for small boating. The area is close to music festivals, art gallery events, farm stands and vineyards. Great swimming, beaches and fishing.